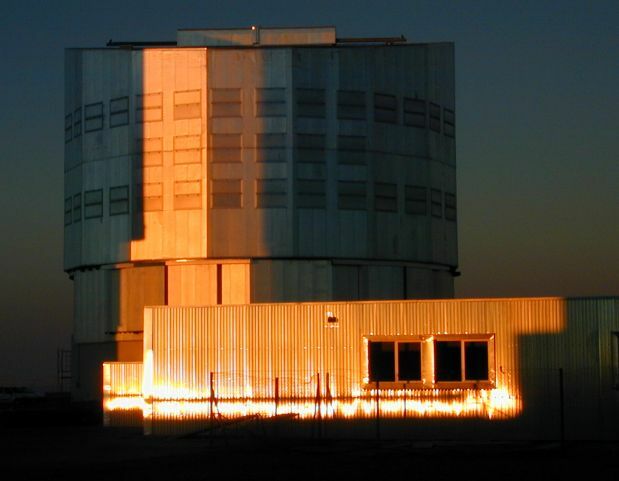 Explanation: Pictured above on September 3rd, the enclosure for the 8.2 meter telescope christened Yepun glints dramatically in the light of the setting sun. Later that evening, under dark skies at Paranal Observatory, Chile, astronomers and engineers successfully captured Yepun's first light images, making Yepun the fourth and final unit of the European Southern Observatory's Very Large Telescope (VLT) array to reach this milestone. Ultimately, the light from the three other 8.2 meter unit telescopes (Antu, Kueyen, and Melipal) will be combined with Yepun's to achieve an effective aperture of 16.4 meters -- creating the world's largest optical telescope. 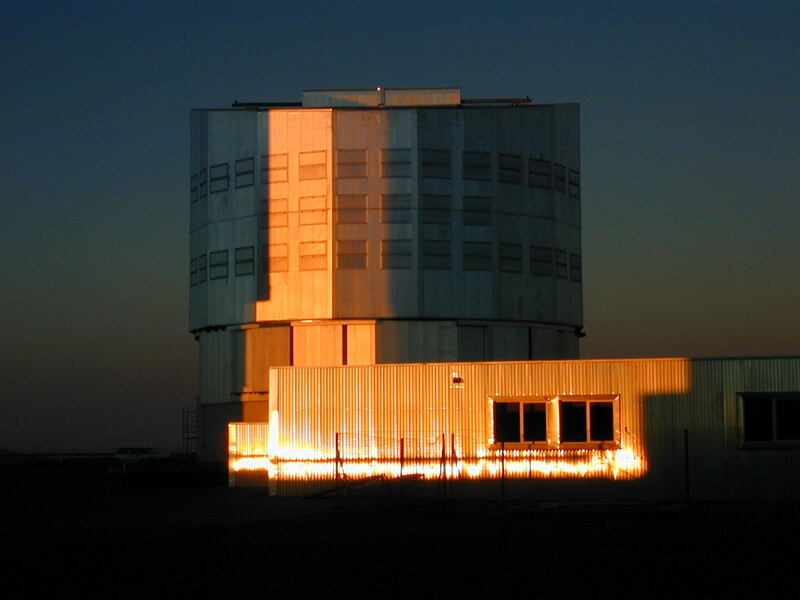 But the next major step will be to combine beams from two of the telescopes creating an interferometer. The upper part of the mostly subterranean interferometer lab is the building in front of the telescope enclosure. The VLT unit telescope names have been taken from the Mapuche language. Originally thought to refer to the bright star Sirius, the word Yepun is now believed by linguists to mean Venus or evening star.